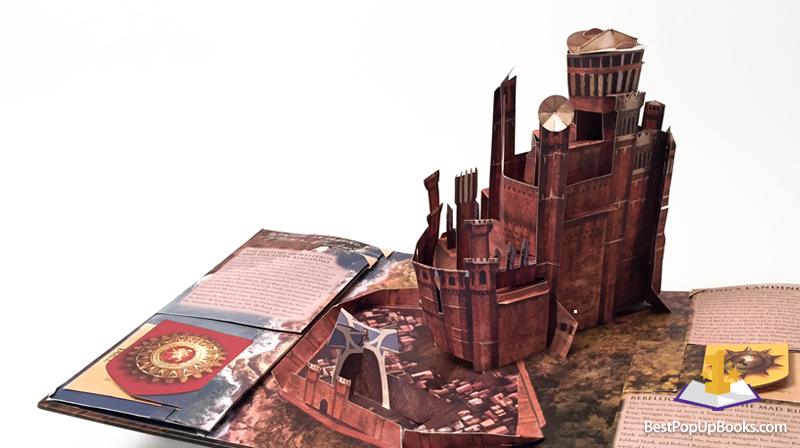 Based on the popular hit HBO series Game of Thrones, paper engineer and pop-up book creator Matthew Reinhart engineered this gigantic and impressive pop-up book that should be part of every Game of Thrones or pop-up book fan collection. 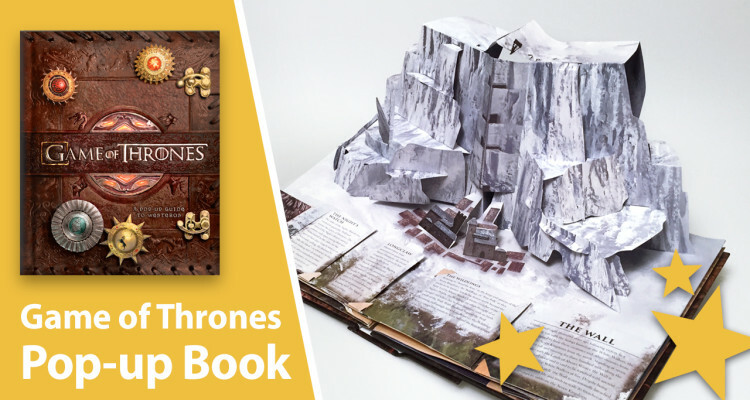 Game of Thrones: A Pop-Up Guide to Westeros takes you on a tour through the world of Westeros, passing by several iconic locations such as the Castle of Winterfell, King’s Landing and the Wall’s Stark Majesty. 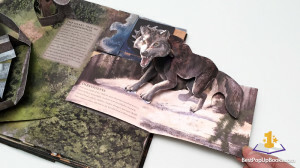 All this over a total of 5 large pop-up spreads, which also feature multiple mini pop-ups showing us even more well known elements from the series like Direwolves, White Walkers Giants and dragons. 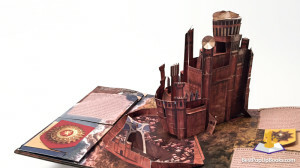 Each pop-up is provided with a clear text that tells us more about the history of the Seven Kingdoms, forming an extensive reference guide to the world of Game of Thrones. There’s a lot of animation going on in this book. The large pop-ups unfold beautifully as buildings slide and lock into place. A true visual spectacle and impressive piece of paper engineering. The mini pop-ups also contain a wide variety of pop-up animation. Like the Tourney of the Hand with dueling knights, the Justice of the Moon door that opens like a real mechanical gate and a raven, spreading his wings in an elegant and symmetrical way. Reinhart’s spectacular paper engineering together with Michael Komarck’s illustrations ensure you a visually stunning and interactive Game of Thrones experience like never before. I’m not really sure how I got the idea for the transformable book. I was inspired by the opening sequence of the Game Of Thrones and how the clockwork structures grow and spread into a map. It seemed natural to me that a book could do that, too, so I immediately worked out a rough sketch model to test it out. 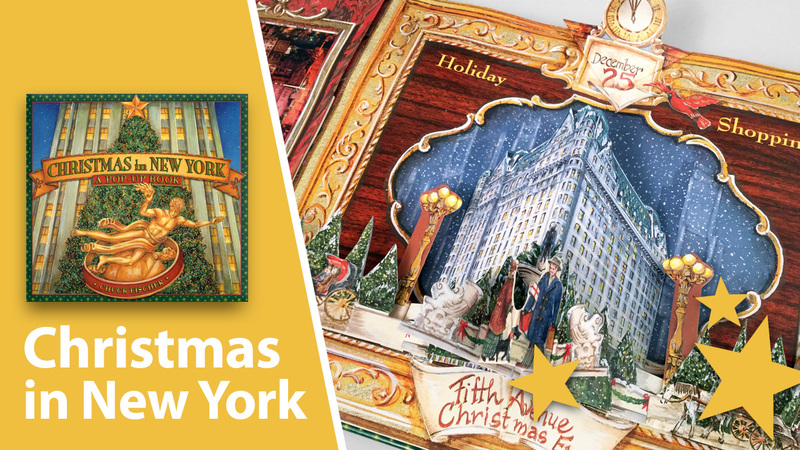 Initially, my publisher Insight Editions didn’t want to include the transformable book/map feature – even though I knew THAT was what would make the book really interesting. So I went ahead and built a prototype with castle pops taken from other books to demonstrate the concept in person at HBO in New York City. Needless to say, after the meeting, they were sold on the idea! 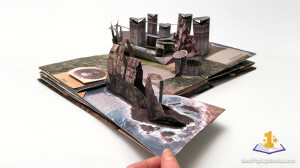 One of the most impressive features of this pop-up book is the map of Westeros that connects all spreads into a giant kingdom landscape. It’s important to follow the steps described in the guide that comes with this book. 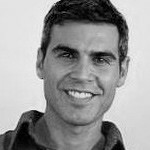 It’s a very solid book and the unfolding technique is very clever designed. But still, you have to be very careful. Before you know it you’ve turned this book into a Game of Torn… Anyway, to make life easy, we have also made a separate video guide that shows, step-by-step, how to unfold the map the right way. Make sure that you have a clean and open space in your room or a large table that’s big enough to unfold all pages and enjoy the view of Westeros in 3D. We have to admit, this book review was a bit of a struggle. We needed a lot more space in our studio to capture the unfolding of the map. A book like this demands a lot of space to capture a decent overview. The size of the book but also the number of mini pop-ups and gigantic spreads resulted in the longest video we’ve made so far. Another great addition to our collection of pop-up books engineered by Matthew Reinhart. 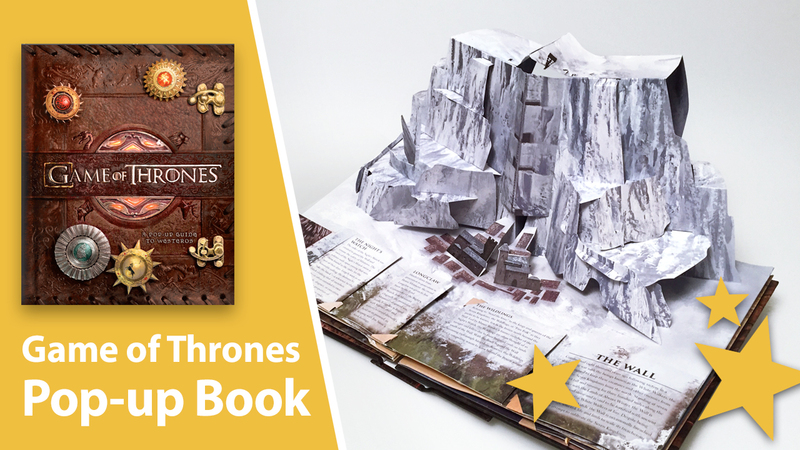 Based on the popular hit HBO series Game of Thrones, paper engineer and pop-up book creator Matthew Reinhart engineered this gigantic and impressive pop-up book that should be part of every Game of Thrones or pop-up book fan collection. 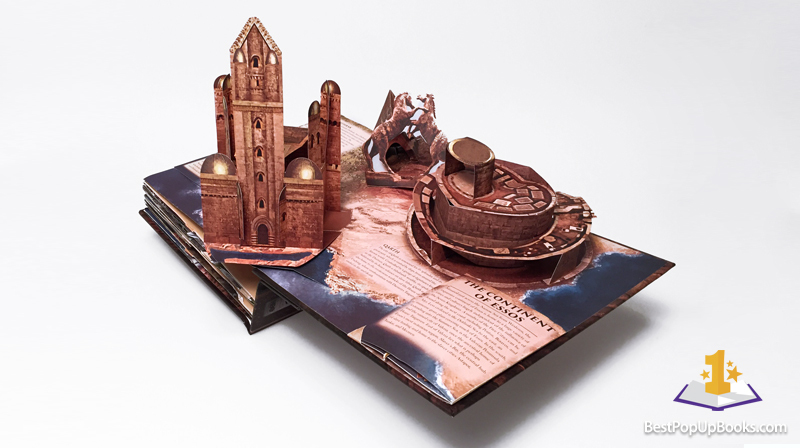 Game of Thrones: A Pop-Up Guide to Westeros takes you on a tour through the world of Westeros, passing by several iconic locations such as the Castle of Winterfell, King’s Landing and the Wall’s Stark Majesty. All this over a total of 5 large pop-up spreads, which also feature multiple mini pop-ups showing us even more well known elements from the series like Direwolves, White Walkers Giants and dragons. 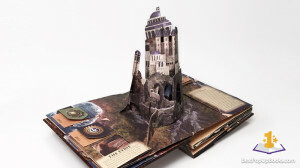 Each pop-up is provided with a clear text that tells us more about the history of the Seven Kingdoms, forming an extensive reference guide to the world of Game of Thrones. Pop-up animation There's a lot of animation going on in this book. The large pop-ups unfold beautifully as buildings slide and lock into place. A true visual spectacle and impressive piece of paper engineering. The mini pop-ups also contain a wide variety of pop-up animation. Like the Tourney of the Hand with dueling knights, the Justice of the Moon door that opens like a real mechanical gate and a raven, spreading his wings in an elegant and symmetrical way. Reinhart's spectacular paper engineering together with Michael Komarck's illustrations ensure you a visually stunning and interactive Game of Thrones experience like never before. 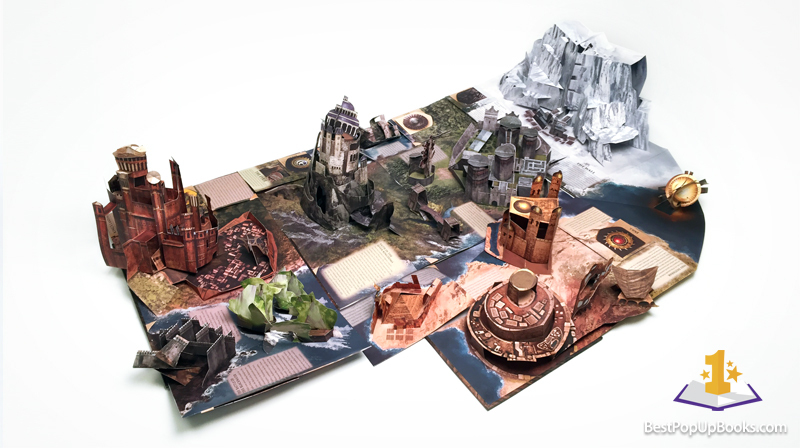 We've asked Matthew Reinhart about how he created the complicated map of Westeros: I'm not really sure how I got the idea for the transformable book. I was inspired by the opening sequence of the Game Of Thrones and how the clockwork structures grow and spread into a map. It seemed natural to me that a book could do that, too, so I immediately worked out a rough sketch model to test it out. Initially, my publisher Insight Editions didn't want to include the transformable book/map feature - even though I knew THAT was what would make the book really interesting. So I went ahead and built a prototype with castle pops taken from other books to demonstrate the concept in person at HBO in New York City. Needless to say, after the meeting, they were sold on the idea! 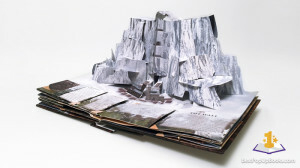 Without doubt the most complicated pop-up book we've ever seen!